This website is dedicated to enable sustainable shore power in the Calandkanaal, powered by Heerema, Eneco and Port of Rotterdam. The energy transition is accelerating. Society is changing. The Port of Rotterdam has the ambition to become the most sustainable port in the world and 100% carbon neutral. The marine industry has the same ambitions. Let's make this work. We plan to build 20 Megawatts worth of electrical infrastructure that powers HMC's fleet when in port by 100% green energy. It is envisioned all vessels from HMC - the Sleipnir, Thialf and Aegir - can be fully electrically operated in the future. We are mainly looking for other marine players who are interested in converting their vessels too. But we can also use help with subsidies and developing the electrical infrastructure. Contact us to see how you can achieve your ambitions. Simply put, shore power means a ship uses electricity from the shore to power the vessel. Every time a vessel visits the shore, a large plug is connected to the vessel. 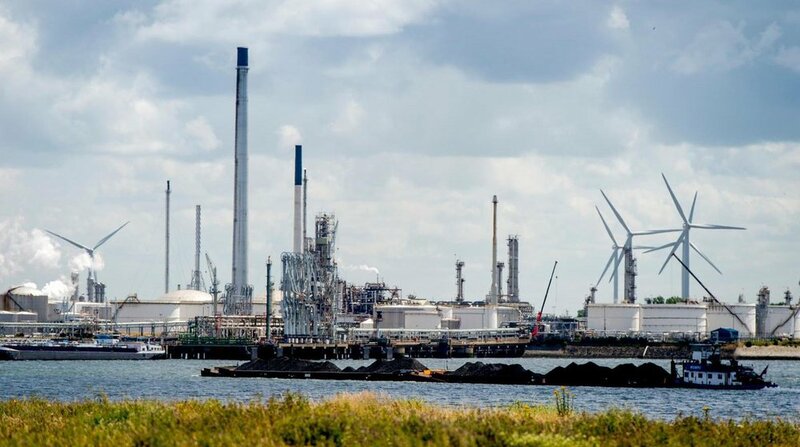 In order to fully electrify the vessels of Heerema Marine Contractors in the Calandkanaal, a shore power connection of approximately 20MVA is required. This is pending the current feasibility study. It is envisioned all vessels - the Sleipnir, Thialf and Aegir - are converted to accommodate shore power while retaining their functional capabilities. How does it power the Energy Transition? 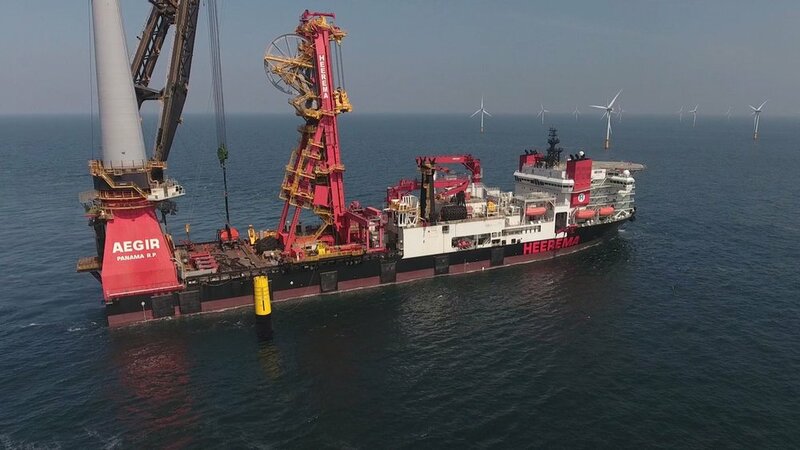 Connecting Heerema Marine Contractors' fleet to the grid by sustainable energy will provide a significant reduction in terms of emissions and noise. Due to the fact the diesel generators will be switched off shortly after the vessel is moored, nearly all emissions – CO2, NOX, SOX and PM – will be eliminated by Heerema in the channel. In the future, even more vessels could be connected to the grid to reduce the (carbon) footprint even further. In addition to the emissions saved, noise generation will be reduced significantly too. Why do we need Shore Power? This day and age, society is pushing towards a carbon neutral and sustainable future. The Paris Agreement is being shaped into tangible laws and regulations on (inter)national levels. In the Netherlands, society is switching from using gas to electricity. Large oil and gas majors are explicitly asking for “carbon-initiatives” and require contractors to reduce their carbon footprint. 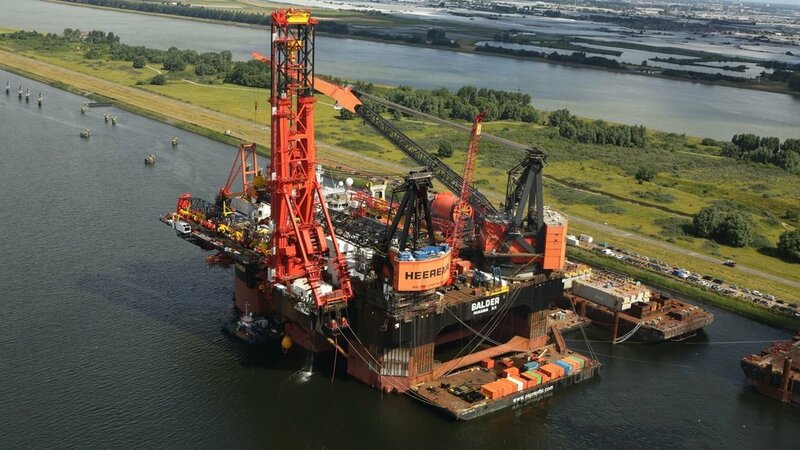 Heerema Marine Contractors is willing to go beyond compliance. Could this vision of the future of the Calandkanaal become a reality? 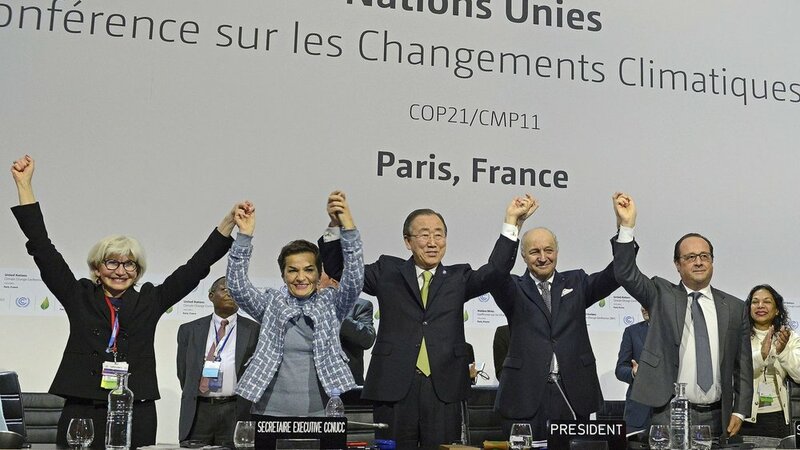 The Paris Agreement has set the tone: our society is in transition towards a CO2 neutral economy. Climate policies are under development by the Dutch Government to significantly reduce CO2 emissions. The port of Rotterdam has the ambition to become the most sustainable port in the world. 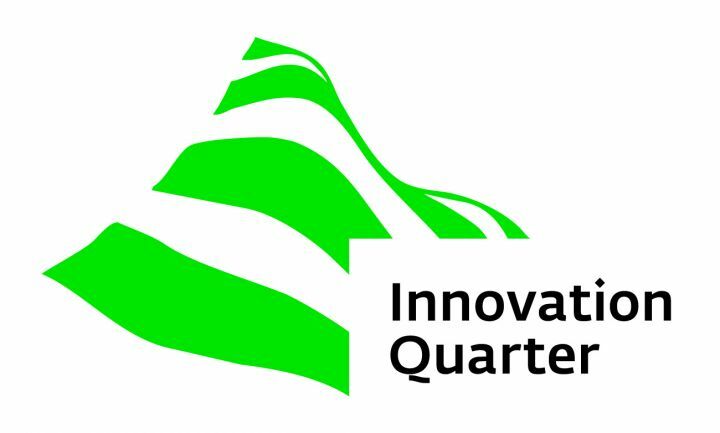 They strive to develop every possible initiative contributing to the transition to a carbon neutral economy. Heerema is a world leading marine contractor with a clear sustainable vision. We have the world’s largest crane-vessel under construction, the Sleipnir, fueled by LNG (not shown above). The Calandkanaal is used as base of operations for the North Sea and for Repair & Maintenance. These activities impact the local communities of Maassluis and Rozenburg with emissions and noise. 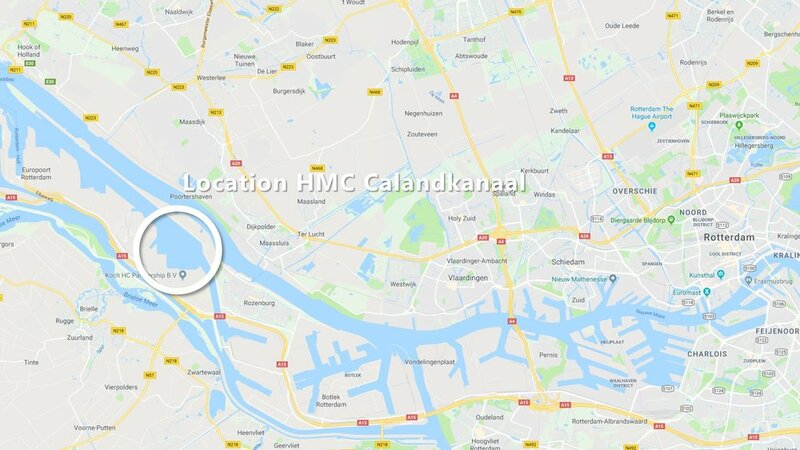 It is proposed to create a 20MVA shore-power connection in the Calandkanaal for HMC vessels, which will then be 100% electrically powered by sustainable energy. A consortium of ambitious industry partners is required to realize this initiative. The order of magnitude of emissions savings per day is roughly 75 mT CO2 per day per vessel. But shore power will drastically reduce all emissions - CO2 – SOx - NOx and PM. This view of the Calandkanaal clearly shows the potential of hooking up more vessel to the envisioned grid, as already many vessels are moored there. The “HMC-connection” could be part of a larger infrastructure to serve more marine partners. This would significantly de-risk the investments required and further accelerate Rotterdam’s ambitions. Stakeholders – Who stands to gain what? HMC currently acts as a catalyzer, but more partners are beneficial to “de-risk” the business case. Other partners are responsible for different aspects of the development and a consortium is being built as we speak. Stena Line has already outfitted four ferries with shore power connections in 2012 and has won the KNVR Shipping Award for it. This has been made possible by the Port of Rotterdam and Dutch Government subsidies. We believe that together, by freely and openly sharing information, we create a sustainable and economically feasible business case that is a win-win situation for everyone involved. Each partner has knowledge and abilities to strengthen the case. We have divided the partners into maritime and public partners, facilitators and service providers. Below is a full list of all involved parties. Which Developments are going on? This page contains the latest news about the Shore Power Caland Canal project. Explore the page to learn more about the latest developments of the projects, or contact us for an in depth discussion. Over the past few months, Eneco, Heerema and the Port of Rotterdam have worked hard to make shore power in the Calandkanaal a reality. The feasibility study for a 20MVA shore power connection is progressing nicely, but there is still work to be done. Further developments will be communicated as soon as they are available. Understanding to jointly perform a feasibility study on the creation of shore power infrastructure in the Calandkanaal. The MOU represents a major step towards developing a Shore Power Connection in the Calandkanaal (SPCC) and to provide Heerema’s fleet with sustainable power inshore. The parties have created a consortium to explore the opportunities and are looking for marine partners who are willing to co-accelerate the energy transition.